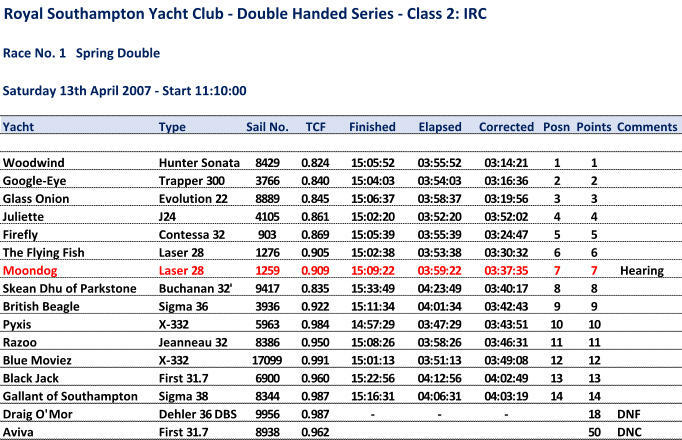 Cracking start at pin end of line and one tack beat to the first mark which we rounded heading the fleet. Wind dying on way to second mark and then dropped to zero for a couple of hours. Floated on the tide into the main channel to do some ship spotting and having clocked two of them decided a hasty exit was required. Quick dash to the shortened finish when the wind finally filled in and results in reverse rating order.